The news just broke: Defense Secretary Leon Panetta is lifting the military’s ban on women in combat. 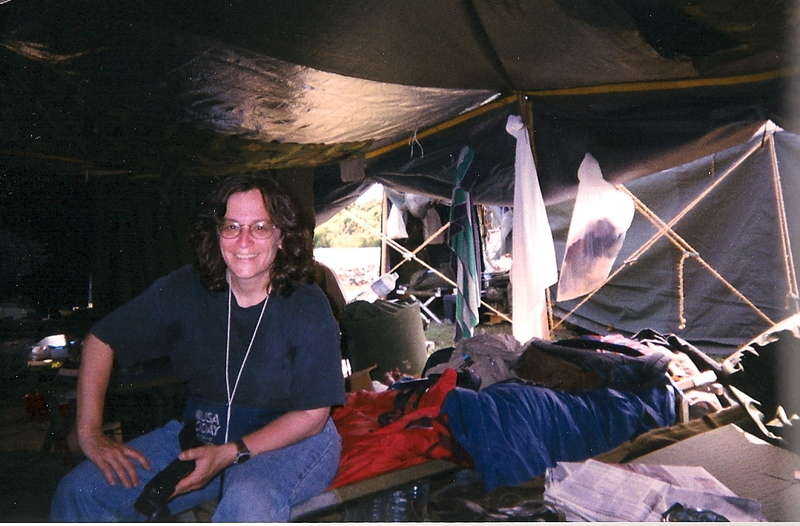 The move will open hundreds of thousands of front-line positions to women, clearing away the daunting career barriers that have been in place since a 1994 rule that prohibited women from being assigned to small ground combat units (of course, thousands of women have been “attached” to such units and the world did not end). I have covered this issue for more than two decades and wrote about military women’s long slog toward acceptance, most recently here. No doubt, social conservatives will decry the move as the end of civilization and at least one gadfly will use the announcement to raise funds for her questionable organization. But women are already on the front line and this nation could not go to war without them. And it remains true to this day in Afghanistan. Bravo to the Pentagon for lifting the already irrelevant ban on women in combat. The never-ending, New Years Eve-spoiling Fiscal Cliff drama still unfolding on Capitol Hill has reminded me why I so disliked my years covering Congress as a reporter for USA TODAY. As many of my friends and former colleagues learned last night, much of their job is standing around. And standing around. And, oh yeah, standing around while our elected representatives dither over what they would — or would not — do about something they should have done long before. In other words, a lot of late nights. Take this photo that ran in The New York Times back in 2005. 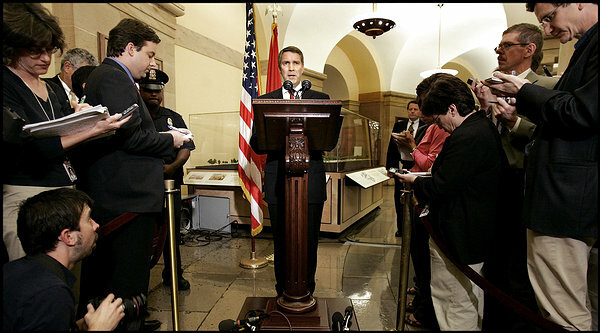 It shows Senate Majority Leader Bill Frist briefing the media during the debate on Judge John Roberts’ nomination for chief justice of the Supreme Court. That’s me on the right diligently taking notes. That was a rather calm presser and, unlike those covering the current controversy, I didn’t have to cancel my New Years Eve plans. These were taken outside the prison in Abu Ghraib in Iraq a couple days after New Years 2009. 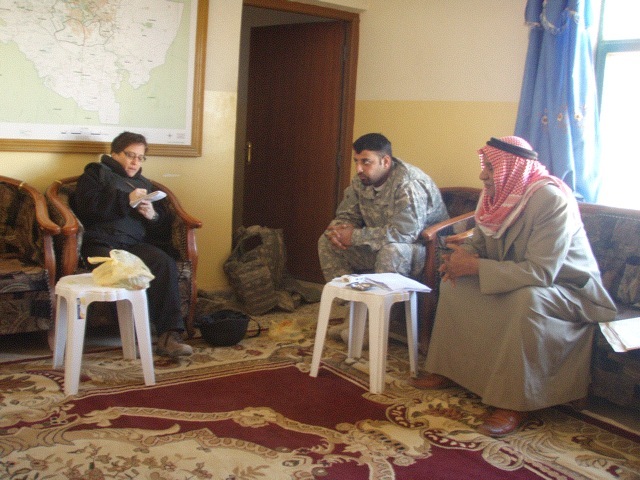 I was there for this story about the transfer of detainees to the government of Iraq. 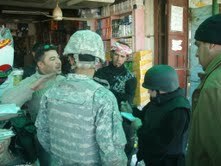 Yes, I did have to wear heavy body armor to interview a local council member and storekeepers in the market. And I did have to travel in an armored MRAP to get to my appointments. But compared to covering the political battle right now on Capitol Hill, I’ll take a war zone in the Middle East any day.